Tampa Bay deputies and police officers are dedicated to values of integrity, professionalism and community involvement. As a result of their commitment the county’s overall crime rate dropped in 2008, 2009, 2010 and 2011. Blick Law Firm assists efforts by posting DUI checkpoints to help enforce safety amongst the community. What are DUI checkpoints? DUI checkpoints consist of police roadblocks at busy thoroughfares at which motorists are randomly selected for screening. These stops help keep all parties safe so they can continue on with their life, without any tragic or fatal interruptions. Sobriety checkpoints reduce alcohol-related crashes by about 20 percent, according to a U.S. Centers for Disease Control report combining the results of 23 scientific studies. Although they tend to be controversial, DUI checkpoints have survived most legal challenges; even in some states where statutes require an officer to have reasonable suspicion of intoxication before initiating a traffic stop. 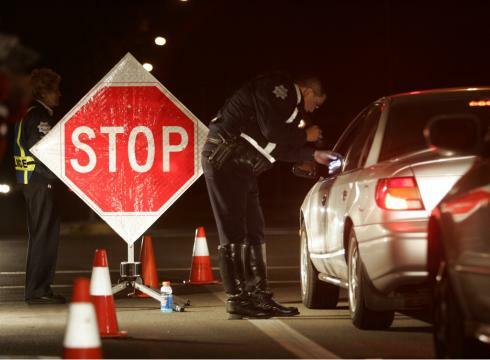 The U.S. Supreme Court ruled in 1990 that sobriety checkpoints are legal under federal law (Michigan Dept. of State Police v. Sitz), leaving it up to the individual states to decide. Should you find yourself unable to drive because of intoxication, please call a friend, cab driver or ask the bartender to call someone for you. Do not drink and drive. This entry was posted in Blog, DUI and tagged blick law firm, carrollwood attorney, carrollwood lawyer, carrollwood tampa, dui check point, dui checkpoint, dui checkpoints, lawyers in tampa, michael c blickensderfer, sheriff office, sobriety check points, tampa attorney, tampa bay area traffic, tampa dui, tampa dui attorney, tampa dui checkpoints, tampa dui lawyer, traffic tampa bay. Bookmark the permalink.